Knowing how to download YouTube videos is not something new to us. Instead, downloading entire YouTube channel may not be familiar to us. If you are a YouTuber, then it is necessary for you to know how to download all videos from a YouTube channel for backup. Even though YouTube Video Manager allows you to download transcoded MP4 videos, you can only download them individually, but what if you need to download hundreds of videos in a channel? I’m sure downloading videos one by one will freak you out. Don’t worry! This following part will offer you 2 effective methods to help you download YouTube channel videos with ease. HD Video Converter Factory Pro enables you to easily batch download videos from YouTube channel, keeping you away from the annoyance of downloading YouTube videos one by one. More importantly, it supports downloading 1080P, 4K, 8K YouTube videos. Besides the downloading function, you can change the videos’ formats after the downloading to have a better compatibility with your devices. All the methods we offer are only used for backing up your own YouTube channel. WonderFox does not advocate downloading any unauthorized, copyrighted YouTube channel for any commercial purpose. The most direct and secure method to download all videos from YouTube channel is with a desktop video downloader. And HD Video Converter Factory Pro is the one to help you download all videos from YouTube channel. 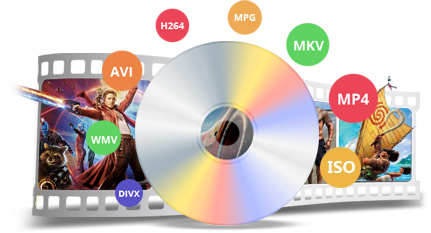 And beyond the downloading feature, HD Video Converter Factory Pro can also convert your downloaded videos to other formats, such as converting AVI to MKV, converting MKV to MP4, converting MP4 to AVI, etc. Now, let’s free downloadfree download HD Video Converter Factory Pro and download a YouTube channel step by step. To download YouTube channel, first, go to the home page of YouTube channel you want to download, and copy the URL. Launch the YouTube channel downloader on your computer, and click Download Video button to continue. 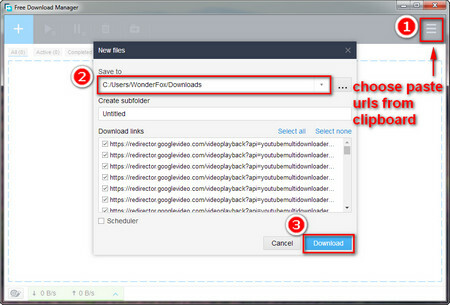 Paste the URL to the download box and click Analyze button. 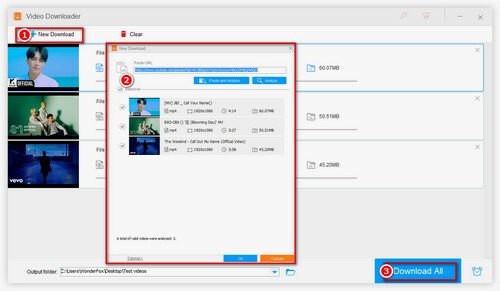 After the analyzing process is finished, you can choose the resolution and customize the output path, then, click Download button to start downloading a YouTube channel. 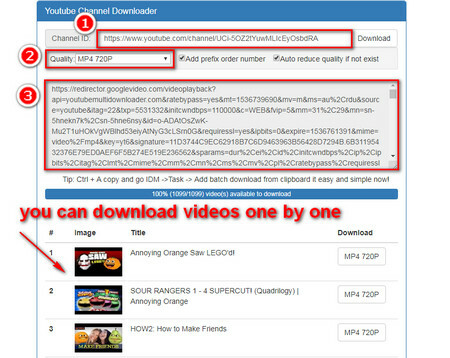 Once the downloading procedure begins, all the videos in this channel will be downloaded one by one automatically. Moreover, HD Video Converter Factory Pro has a special highlight, which is supporting downloading 1080P, 4K,8K YouTube videos. If you want to change your downloaded videos to other formats, just import all your downloaded YouTube videos to HD Video Converter Factory Pro and Click Output Format on the right to open the format window, then you can choose your desired format. After that, click RUN button to start the conversion. Step 1. 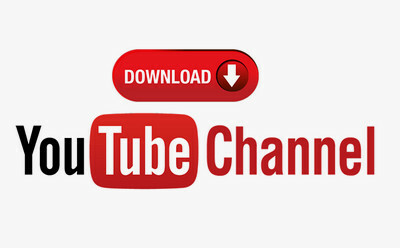 To download YouTube channel, first, free download the YouTube channel downloader FDM by the below link and install it on your computer. Step 3. Copy the URL of the YouTube channel that you want to download, and paste the URL to the Channel ID Box on youtubemultidownloader.net. Wait for a few seconds, the website will recognize all the videos in the channel automatically, then, choose Quality to change the videos’ resolution. But please notice that this tool only supports downloading up to 720P videos, so if you download a higher quality video with this tool, the video will have no sound. Step 4. Copy all the URLs in the below box, or you can just click the single button below to download YouTube videos one by one. Step 5. Launch FDM on your computer, click the Main Menu at the top right corner, and select Paste URLs from Clipboard. FDM will add all the download URLs to the box automatically, and then, you can change the output path and create a new folder. After all the operations, click Download button to finish the task. When all the downloading tasks are accomplished, you can find the folder containing all your downloaded YouTube videos under the output directory. As we mentioned above, there are two new and effective methods to download YouTube channel videos. You can choose any one of them depending on your own situation. For me, I highly recommend to you the YouTube channel downloader: HD Video Converter Factory Pro. For it is much easier to use and safe. More importantly, it can download YouTube 1080P videos, download 4K YouTube videos, even download 8K videos, giving you a much more extraordinary viewing experience. Besides downloading videos from the Internet, HD Video Converter Factory Pro can also convert videos to other common formats with a higher quality of output. Due to its 50X high speed of conversion, converting videos to different devices is not a time-consuming thing anymore. Now, just free download it and begin the pleasant viewing trip. DVD Ripper Pro gives us a professional and simple way to rip our DVD collections to ISO image/DVD folder for a better backup. And it can convert the ripped DVD files to more other video formats. Just free download it and have a try now!